Known for their intricate textiles, the Q’ero are a traditional Quechua-speaking Peruvian highland people. Their weavings are full of symbolic elements and motifs that encode specific cultural information and their textiles are the repositories for knowledge that has been passed down through generations. Based on ethnographic fieldwork undertaken between 1979 and 1991, A Woven Book of Knowledge examines and compares regional weaving styles and discusses the general texture of highland life. The author’s long involvement with members of the Q’ero community has provided unique opportunities for insight into their ideas about weaving, iconography, and spatial and temporal concepts. But A Woven Book of Knowledge is more than an ethnographic study. 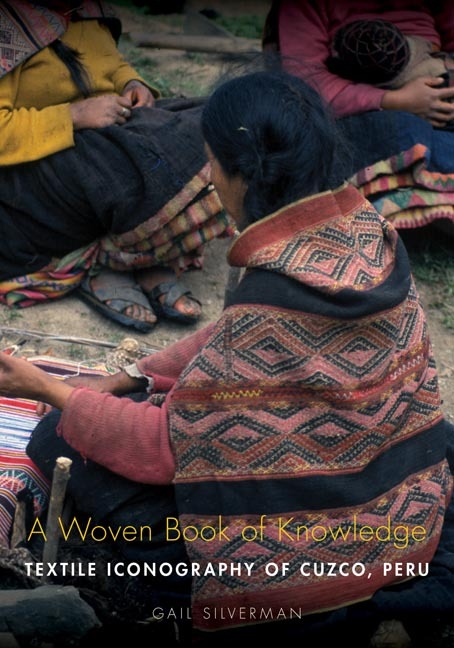 If the warp of the book is the academic rigor of anthropology and linguistics, the weft is Silverman’s love for the textiles themselves and for the Q’ero people. It is a result of a passion that has kept her in Cuzco for years, dedicating her career to the study of the local textile tradition. Gail P. Silverman holds a Ph.D. from the Université de Paris V, Sorbonne. She speaks Quechua and Spanish and is the author of six books in Spanish on the Cuzco textile tradition. She has lectured in the United States, Europe, and Bolivia and lives in Cuzco, Peru.